Dental anxiety is the fear and uneasiness of a person to visit a dentist for a dental checkup. Maintaining proper oral hygiene ensures good care for your teeth. However, visiting your dentist every six months helps keep the health of your teeth and gums in check. Generally, some people experience dental anxiety which prevents them from getting their teeth and gums checked by a professional. When a thorough dental examination is conducted, the dentist examines your gums, mouth, and teeth for diseases or any other disorder. An X-ray is done during a dental visit. The X-ray helps the dentist examine your teeth and gums for any disorder that may otherwise not be detected by the naked eye, such as tooth decay between your teeth, damaged jawbone, tumors, abscesses or impacted teeth. The dentist ensures a thorough cleaning of your teeth by removing the built-up plaque below and along your gum line which could cause your teeth to decay, gum diseases, or even bad breath. The fear of pain is the main reason why most people fear visiting a dentist for a checkup. Rather, some never even visit a dentist at all. During their past experiences with a dentist, they might have felt pain. However, they need to realize that things are changing and technology is advancing, which can provide a pain-free checkup. Some people might be self-conscious of their mouths as well. While anxiety can form for a variety of reasons, it could stem from bad breath, poor dental hygiene, or the discomfort that comes from having someone else look at apart of your body. The past experiences of an individual could create dental anxiety. Every person has their own experiences, whether they are good or bad. Therefore, some people will allow a painful dental experience in the past cause fear in them for the rest of time. Dental checkups are absolutely necessary in order to maintain good dental health. Managing dental anxiety so that the fears do not last a lifetime, is very important. Others will fear to go for dental checkup simply because they do not have control over what happens during the checkup. They may also fear not knowing how much pain could potentially occur. 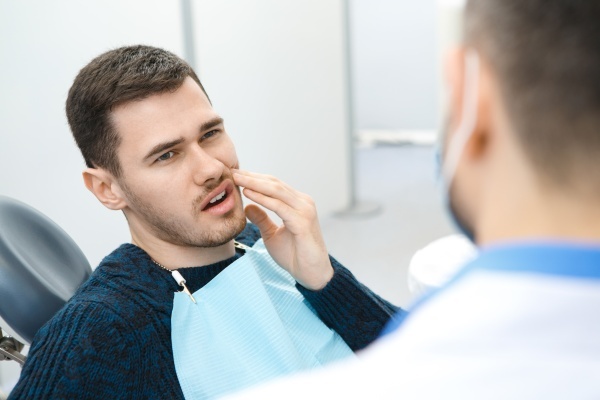 If you discover that you just don’t like going for a dental checkup, you could be suffering from dental anxiety, therefore, look out for the following signs and symptoms. - Tensing up while in a dental room could be a sign of dental anxiety. - Simply feeling a sense of fear whenever you think of visiting a dentist is a sign that you are suffering from a dental phobia. - You feel nervous whenever you realize you must see the dentist. - During a dental checkup, you get shaken up whenever the dentist places objects on or around your mouth. Sometimes fear could be a call for concern. Therefore, the next time that you want to visit a dentist, make sure that you identify your reason for fear. Choose a dentist who is willing to listen to your fears and worries since this is important. This will help you find a dentist that is more friendly, therefore, giving you the courage to attend dental checkups. You may also consider taking someone with you to the dentist to help you take away the fear. Your dental anxiety may be too extreme and in this case, seeking professional help could work for you. 1. Signaling your dentist of any pain when they're performing a routine checkup or during treatment helps them to be more cautious. You do not have to sit quietly in pain. By letting them know of the pain that causes you so much tension, it enables them to decide on ways to make your experience pain-free. 2. Asking your dentist how they perform their checkups and treatment, helps to calm you down. You may end up realizing that these procedures are not as painful as you thought. 3. Tell your dental team of your anxiety and your worst fears. Do tell them of any of the most painful experiences that you have ever heard with dental care providers. This helps them know how to care for you better and ensure that they take every precaution. Thus, so that you don’t experience that pain you fear most. 4. In case you still feel pain even with anesthesia, do not hesitate to tell your dentist about it and they will make sure to look for other ways for you to make sure that you stay relaxed. Next time that you visit your dentist, do not hold back your anxiety. Simply let your dentist know about it and they will ensure to take care of your worries.